← Holy Tower of Wine Value! To say that winters in the Pacific Northwest can be long, dark, drizzle fests is to say the least about the tedious gray on gray. 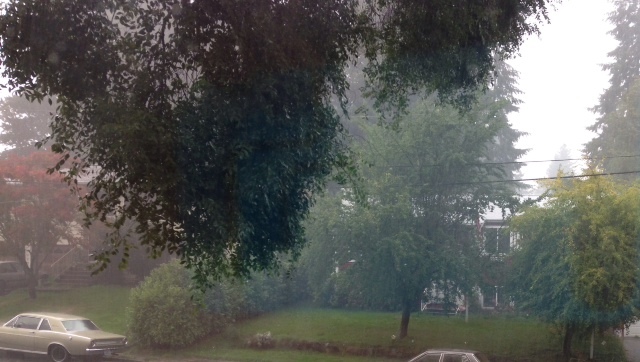 Gray trees, gray skies, streets that shine and erase the traffic lines, so duh-ulll! Last Saturday my friend and I had a few hours to fill so decided to do a quick run to do some wine-tasting. This is the perfect way to chase away the doldrums. The mecca for winos and wine lovers in the Puget Sound lies about 14 miles north and a little east of Seattle in a town called Woodinville. Host to a staggering 130 wineries, wine bars & tasting rooms on a sunny day this place is a destination for tourists and locals alike. That makes for crowding and sometimes a bit of a wait time to get near the tasting bar. 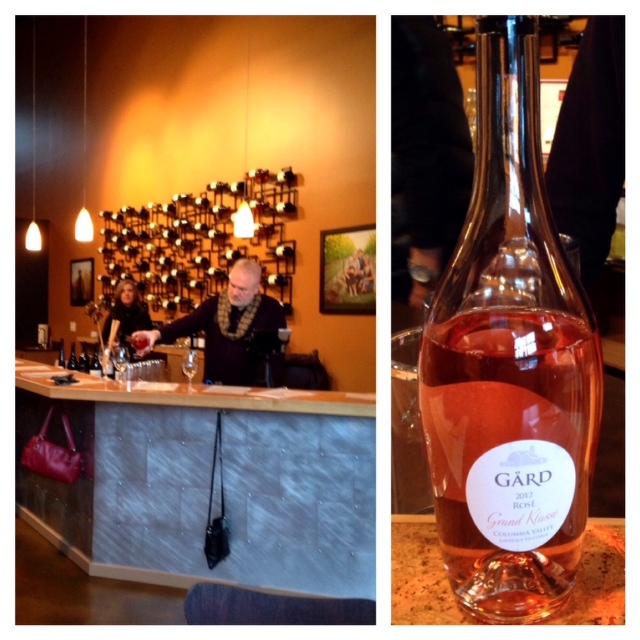 The better time to visit is on a rainy day or a misty early afternoon, when the tasting rooms are quieter. There are open seats, less din and the staff seems less harried and eager to share. We decided to stop at a newer tasting venue, a corner area with a brewery and four tasting rooms, with 2 more scheduled to open later in the Spring. 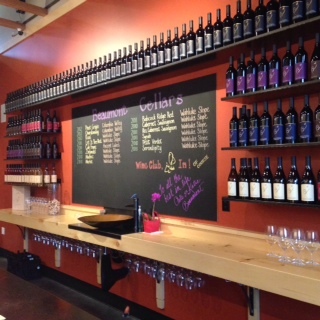 The tasting rooms are fairly new, stylized and inviting. 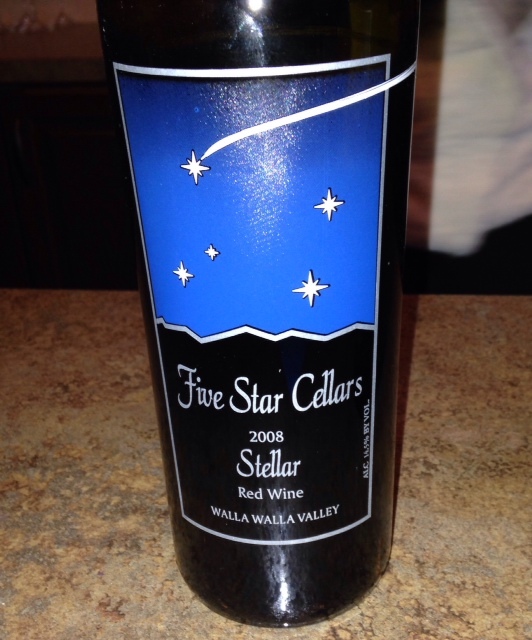 Image | This entry was posted in Reviews, Wine Tasting and tagged tasting rooms, wine, WinetastingWines, Woodinville Wineries. Bookmark the permalink.